In many ways choosing to be an online freelancer is a massive act of self-care in and of itself. You’ve honored yourself, your dreams and goals by taking the time to consider whether being an online freelancer is right for you. You’ve positioned yourself and your business by deciding what you do and who you do it for. You’ve set goals and created a plan to meet those goals. In doing these things, you have committed to creating your future in the way that you wish to, on your terms, and enjoying the freedoms that come with that decision. Deciding when, where, and how you want to work. Choosing whom you want to work with and what you want to do. Being the mistress of your own destiny when it comes to where you want to head with your business and your life. With freedom comes responsibility and challenges, however. Working alone- for some this is a ‘freedom’, while others may struggle with feeling lonely and isolated in their freelance work. The pressures of your business (and income) being ‘all on you’. The need to stay focused, motivated, and disciplined even when you don’t feel like it. Constantly working with the pressures of deadlines- This can help create structure and organization, but can also feel stressful over time and lead to burnout. The challenges that come with being an online freelancer can lead to overwhelm, and it’s crucial to your business’ success and your enjoyment of that success that these challenges be managed through practicing good self-care. It’s also important to remember that even when it doesn’t feel like it, being an online freelancer means living your dream. In order to preserve this special and important aspect of being a freelancer, it’s invaluable to build self-care in to your life and business. After all, doing so will ultimately benefit your business and goals. When we feel better and can experience more balance in our lives, we are more productive and much more capable of being “in the zone” with our businesses. 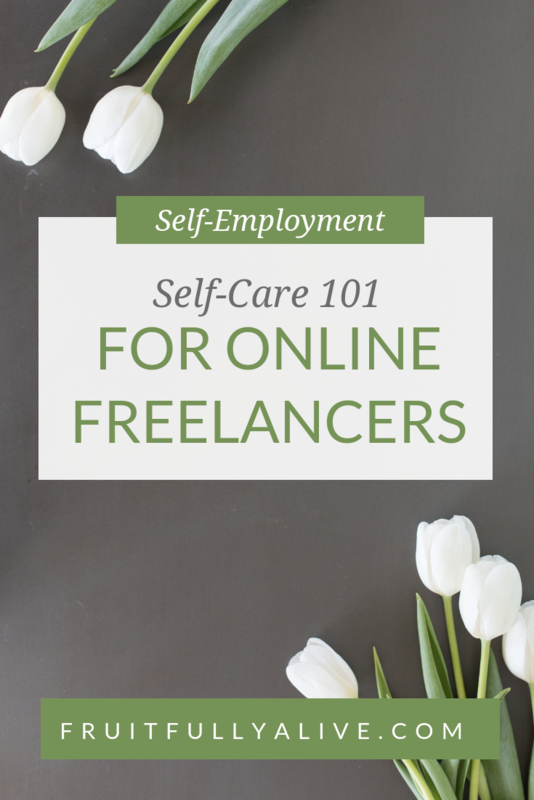 This post will offer you some ideas and tips for building self-care into your life and business as an online freelancer. Incorporating these in to your routine will allow you to be able to be more effective with your efforts and ward off discouragement and burnout when (not if) challenging times arise. One of the traits shared by successful online freelancers is being highly organized, and one of the ways this manifests itself is in the context of how you schedule and manage your time. Practicing discipline when it comes to your schedule and daily routine as a freelancer will ultimately contribute to your success, and it’s also a great way to practice good self-care. Setting the days you work and the times that you are available on those days will create structure within your business. Doing so will help you maintain focus on the tasks that need to be done within those timeframes and will save you from feelings of overwhelm and stress. As a freelancer, it can be easy to let your work “leak out” into all aspects of your life, and many of us can find it difficult to turn off our businesses at the end of the day or on the weekends. While to some degree we do eat, sleep, and breathe our businesses as freelancers, we also need to commit to a healthy structure for our schedules in order to go the distance with the marathon that is the online freelancing business world. This allows us time to tend to other aspects of our lives and that will ultimately make us better at what we do in providing excellent service to others. Lastly, when it comes to your schedule, it’s also important to be willing to go with the flow. While a schedule and structure in your work day can save your sanity, it’s also valuable to remember that as a freelancer things pop up. We need to be able to pivot and swerve in order to meet the unexpected things that may be come up in the course of the day with grace and clarity. Schedule a “day of rest”… no matter what! Another crucial aspect of practicing great self-care as a freelancer is building a day into your weekly schedule that is strictly reserved as a day off. Not only is it important to set this day aside, it’s equally important to guard and protect that day as a day of rest and to truly do just that- rest. No matter what it is you do or how much you love doing it, anything we do day in and day out will produce burnout if we don’t make efforts to conscientiously take time away from it. 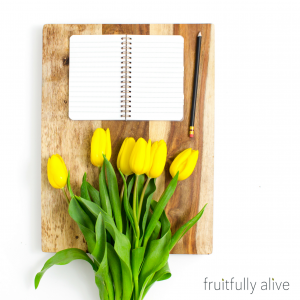 Setting aside a day each week reserved just for you and nothing business-related will help you approach your work feeling more refreshed, focused and enthusiastic. Schedule time away and vacations… and be prepared so you can actually enjoy them. When we’re caught up in the exciting whirlwind of online freelancing, time can have a way of getting away from us. While once again, one of the major perks of being a freelancer is taking time away whenever you feel like it, it’s not uncommon to get so caught up in the momentum of our businesses that we forget to schedule in breaks and vacations. It’s important to be intentional and conscientious about scheduling time away, otherwise it may not happen. As important as scheduling breaks and vacations, however, is preparing yourself and your business ahead of time so that you can truly step away. This will enable you to enjoy your time off, avoid stress and preoccupation with what may or may not be happening with your business in your absence, and enable you to return to your work feeling recharged and energized. Goal-setting, like being organized, is another aspect of being an online freelancer that will contribute to your success. Setting goals and creating “rewards” for yourself for meeting those goals is also a great way to practice self-care in your business. It’s important to have vision and hopes for your endeavors; it’s a major part of what will get you out of bed on those mornings that you just don’t feel like it! Creating some kind of reward for yourself for meeting your goals is just an added incentive beyond the joy and feelings of accomplishment that come with achieving milestones you’ve set for yourself. It’s also a way to pat yourself on the back for the work you put in to achieve those goals. You can also get creative with this strategy and have some fun with it by creating visual reminders of your “rewards” to keep in your workspace for example. Here’s an example: I didn’t spend any of my proofreading money on anything I didn’t need until I hit the $10,000 mark. Then I bought myself a nice watch! While for many people working alone and “being your own boss” is one of the perks of being an online freelancer, this can also lead to feelings of isolation and loneliness particularly during challenging times in your business. As well, the success of your business is ultimately all on you and that can be a lot of pressure to carry. One powerful way to combat feelings of isolation and stress in your business is to be a part of a community of other freelancers who can inspire, motivate, and encourage one another. Sharing ideas and offering feedback can be invaluable when it comes to feeling supported in your efforts, and there are a lot of options for online communities such as Facebook groups that facilitate this kind of support. As well, as an online freelancer your circle of friends and family may not understand what you do or may even discount it. It’s not uncommon to field questions like “when are you going to go back to work?” and this can be discouraging. It’s important to have people “on your team” who, even if they don’t totally understand what you do, believe in and support your efforts to build your dream on your terms. Be clear on who these people are in your life and be willing to call on them when you need to. As online freelancers, we are committed to our businesses, ourselves, and our success. In the same manner that it’s easy to forget to schedule breaks and vacations, it can be easy to become so consumed with the success of our business that we begin to neglect caring for ourselves. There’s only so much time in the day right? Being mindful of your diet and keeping yourself moving, however, will make the day-to-day challenges of running your own freelancing business feel so much more manageable and will affect your entire mindset when it comes to your endeavors. Taking care of the foundation of you will position you for success in whatever you approach, particularly your online freelancing business. Being hunched over the computer all day is bad for your back. Standing up regularly and stretching is a great way to combat this. Getting proper rest is another way of taking care of your foundation, like diet and exercise, that will enable you to meet the challenges of your business head-on with more energy and focus. This is also another important aspect of setting your schedule and sticking with it by ending your work day at a set time and ensuring that you’ve got sufficient time to sleep and recharge. We just don’t function as well or think as clearly when our bodies are sleep deprived, and when you’re eagerly building an online freelancing business, it can be easy to sacrifice your rest. Proper sleep will help you approach your daily tasks with increased clarity and will help you maintain endurance and perseverance in your freelancing journey. Remember that the blue light from devices like laptops and smartphones disrupt your sleep hormones. It’s recommended that we stop using these devices about 3 hours before going to sleep. Now, I can’t do that and if you’re like me, then I highly recommend these glasses which block that light so you can continue to use your devices without sacrificing your sleep health. What do you love to do? Bake? Work in the garden? Play with your kids? Whatever it is, don’t neglect it or sacrifice it on behalf of your freelancing business. 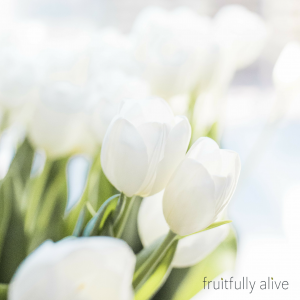 We have set out on this adventure to create freedom in our lives and we can become so preoccupied with our endeavors that we forget or neglect the “little” things that make us happy. Ideally, our businesses should allow us to participate in these kinds of activities more often and with more peace of mind and enjoyment. Honoring your “joys” by making time for them will prevent you from resenting your business and will help you keep in mind why you do what it is you do. Building time into your schedule and daily routine for personal development and mindset work can have a profound impact on you and your business. Taking time to read, watch video, or listen to audio can feel like “time away” from the daily workings of your business but is so crucial to your growth and longevity in this work. 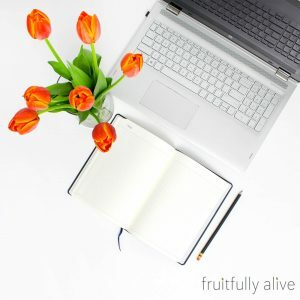 Growing your mind will grow your business and building your foundation of edifying, encouraging, and valuable knowledge will sustain you through the challenging times of being an online freelancer. Not only is this a powerful strategy for the success of your business, but an important way to practice self-care by working on the foundation of your business- you. There you have it, 9 specific, actionable ways to build self-care into your online freelancing business. Some other thoughts to keep in mind are: Be kind to yourself, part ways with perfectionism, and remember that building a successful online freelancing business is a marathon, not a sprint. We should be putting as much care and time into ourselves as we do our businesses and remembering that the two are intimately intertwined. Practicing good self-care as an online freelancer may be one of your most powerful strategies for delivering excellent quality services to others, and you and your dreams are absolutely worth the effort. What about you? What are some self-care strategies you practice? Let me know in the comments below, I’d love to hear about them!